have a chicken in his pot every Sunday." Henry IV of France, always concerned for the welfare of his subjects, promised that during his reign there would be a chicken for every pot in France. It's no wonder he was one of the most loved kings! No matter how poor the people were, everyone should be able to afford to have a chicken dinner. 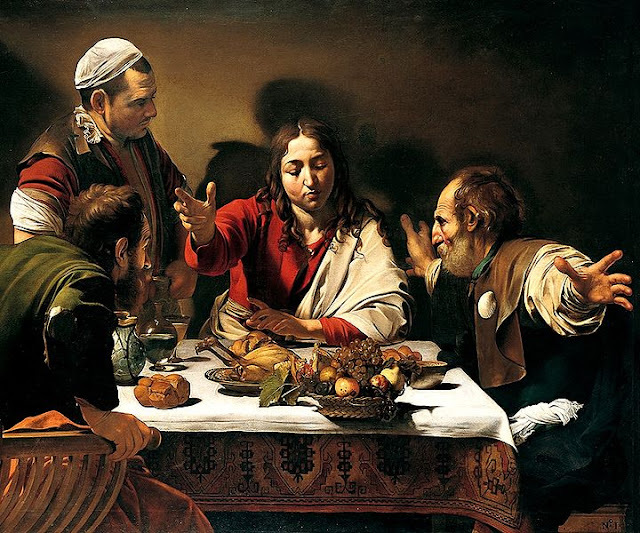 It's a whimsical idea that I rather like, as it conjures up images of Renaissance villages filled with the wafting aroma of stewed chicken - like something brought to life by the brush of Caravaggio. This idea seems most appropriate in this day of economic turmoil and rising food prices, as well. A whole chicken is still surprisingly cheap, and there are a myriad of recipes that can be made with the leftover meat. But, in the sizzling heat of mid-summer, the thought of hovering over a simmering pot for hours makes me want to run and hide in the cool crevasses of the mountains. So, if I had my way, I would change the phrase to, "a chicken in every crock pot," and escape to the mountains for the day while it cooks away. 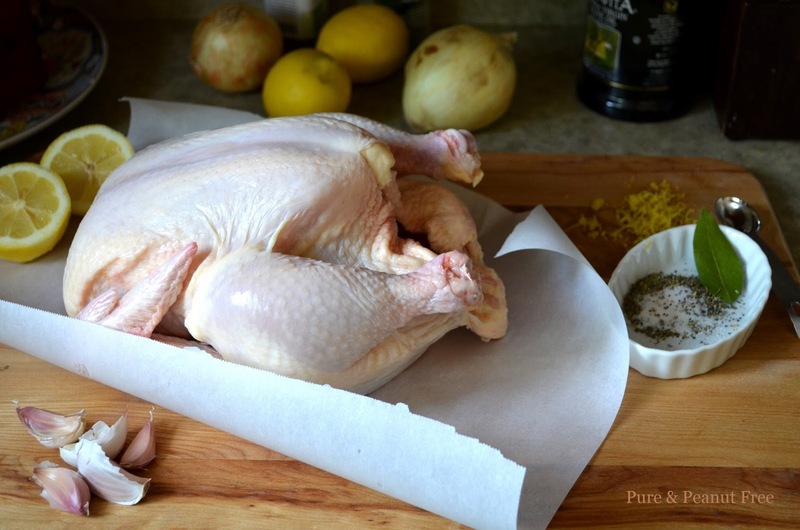 This is exactly what I did last week, when the temperatures soared to a nearly unbearable 100 F.
I dressed the chicken early in the morning with a rub down of garlic, lemon, and herbs. Placed it in the crock pot, bathing it in a mixture of water and wine. I threw in a couple whole potatoes for good measure. Then we headed to the mountains in search of an adventure. We ended up at the Shrine of Sun. I often gaze up at the Shrine of Sun, perched precariously high on a rocky outcropping, and imagine it to be some ghastly, derelict remnant from the past. Like a great, grey hand it reaches from the mountain side toward the morning sun. And at night it's illuminated by a glowing sliver light, like the ghost of the mountain. Though we've lived in its shadow for nearly five years, and if the wind is right, we can hear it's bells faintly chiming the hours, I've never actually driven the steep mountain road to get there. 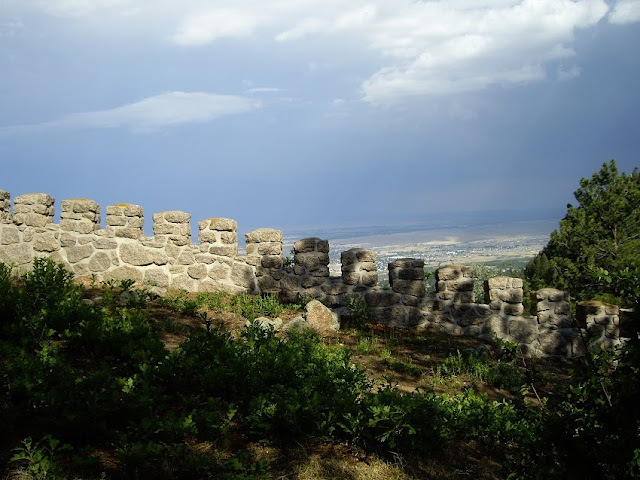 We decided an adventure to a haunted castle was just what we needed, and headed up the series of winding switchbacks that lace up the mountain face to the shrine. What we found when we finally arrived was not at all a derelict relic, but rather a shining, Renaissance-esque castle, complete with crenellations, sweeping arches, and winding stone staircases! 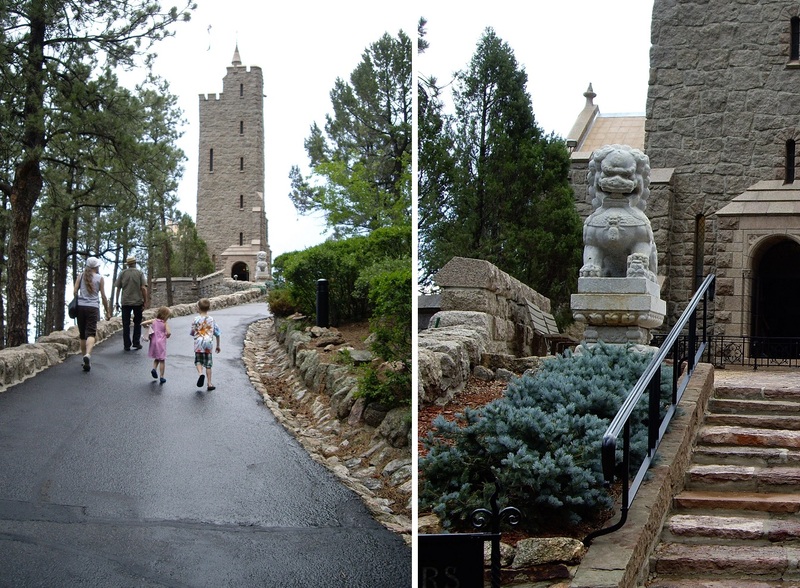 Guarded by two immense stone lions, the shrine is dedicated to Will Rogers - the American humorist and Hollywood actor. 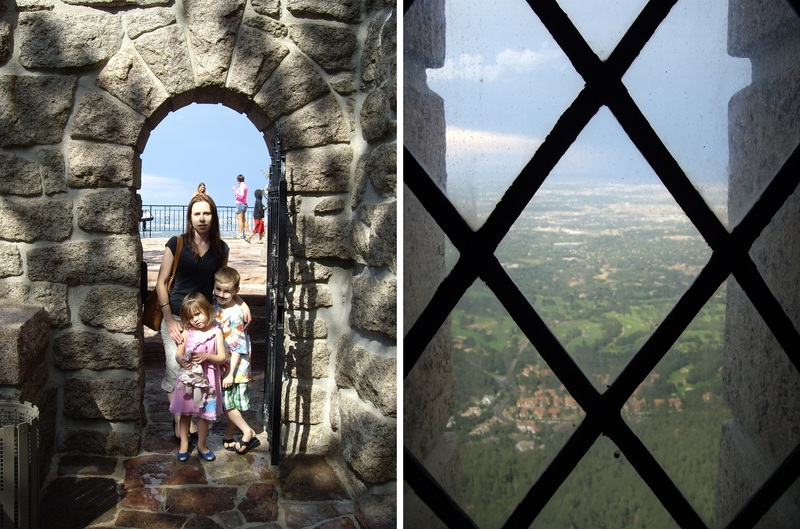 From lofty terraces and through leaded glass windows the city stretches out like a magic carpet far below. Up here I feel like an eagle ready to launch into flight. Arriving home, I could smell the chicken before even opening the front door. The beauty of cooking a whole chicken in the slow cooker isn't only the fabulous chicken dinner that's ready when you are, but also the lovely golden chicken stock simmering in the bottom of the pot (simply strain it through a fine mesh sieve and refrigerate for a homemade stock to use throughout the week). 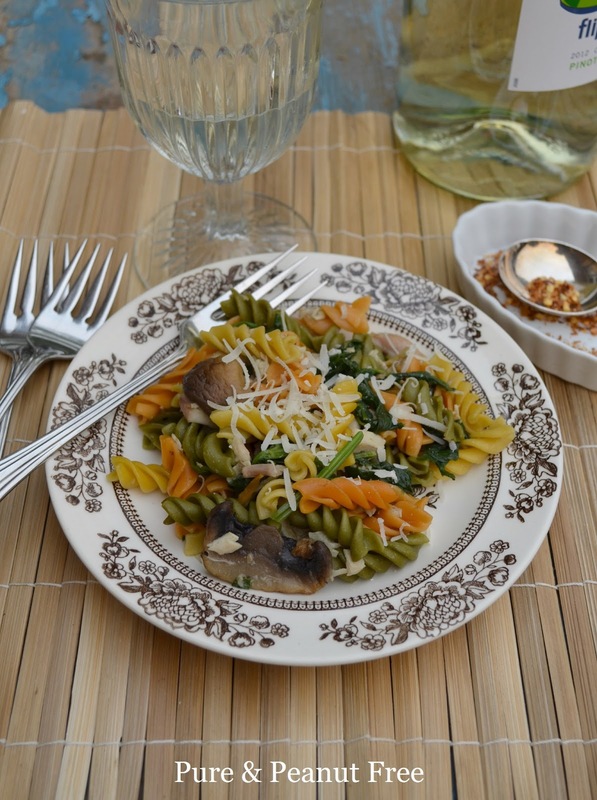 And, of course, the cold leftovers that can be thrown into salads and tossed with pasta throughout the week. Remember the potatoes I threw in for good measure? I ran them through a food mill into a pan of hot milk and butter for the easiest purée de pommes de terre ever! Alongside the chicken I served sautéed shiitakes and fresh peas from the garden. Later in the week we spent the day in the city. 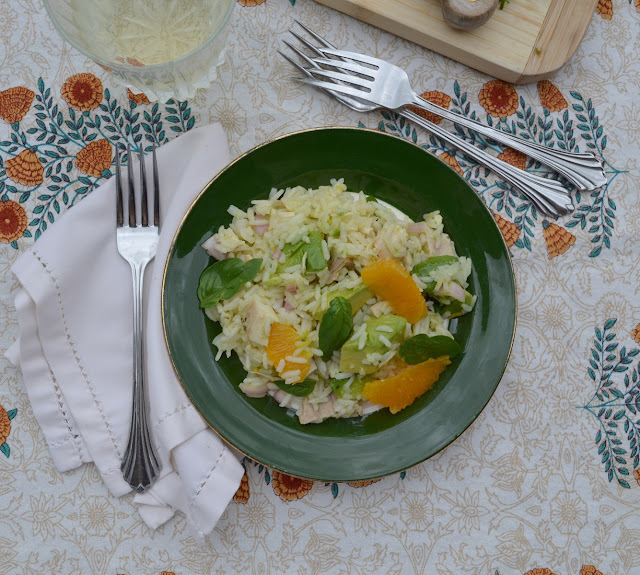 I threw together this Chicken and Rice Salad with oranges and avocados before we left. It came together in a cinch, and was waiting for us in the refrigerator at dinner time. 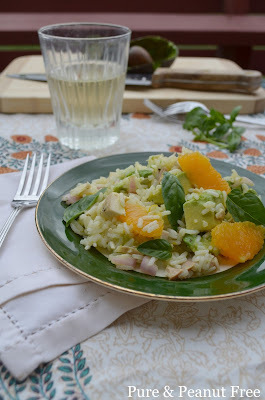 Cool and refreshing, bursting with the flavours of orange and basil, it's the perfect light summer salad. The next evening was cool and cloudy. The wind blew in great gusts, pushing rainclouds down the mountain side and obscuring the now familiar shrine from view. I wanted something warm and comforting as the rain began to beat on the windows panes. 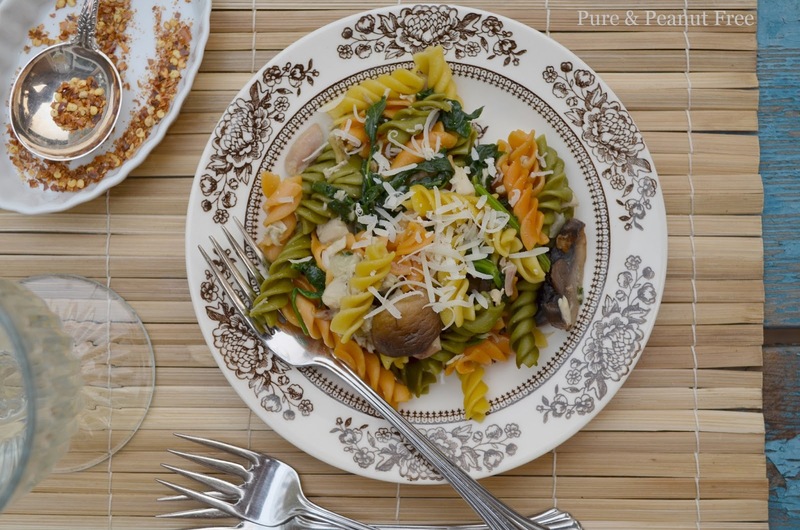 Is there anything more comforting than a big plate of pasta? I used what was left of the chicken for this Chicken Pasta with Spinach and Mushrooms. The whole thing comes together in just the time it takes for the pasta to cook! 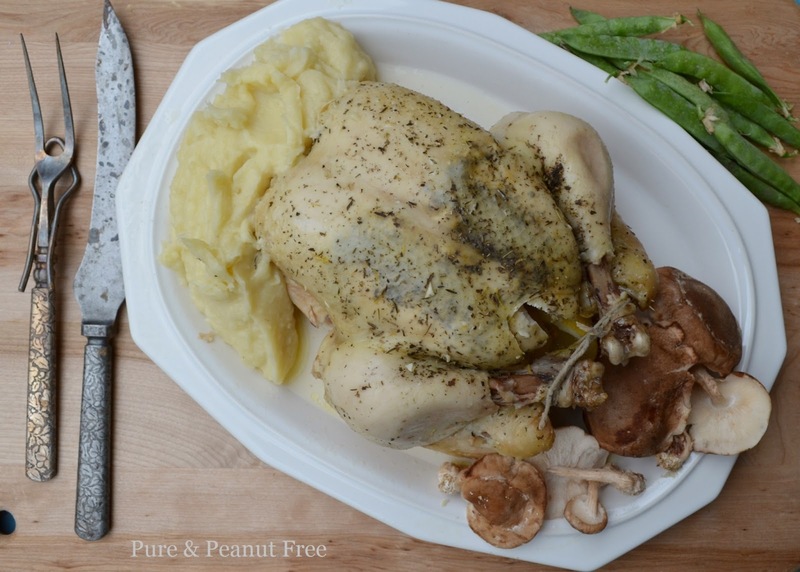 Need some more inspiration for using cooked chicken? In winter, I boil the carcass for a warm and hearty chicken noodle soup. I love the combination of chicken and broccoli in this Chicken Divan - rich and creamy comfort! Or try these Smothered Green Chile and Chicken Burritos, my husband's favourite. My Smokey Split Pea and Chicken Soup is a twist on the traditional split pea soup with ham. My son asks for it year round. Cut away any extra fat or skin from the chicken and the neck. In a small bowl mix the salt, pepper, herbes de Provence, the zest from the lemon, and half the minced garlic. Rub this mixture under the skin of the chicken breasts, inside the cavity, and all over the outside of the chicken. Stuff the cavity with 1/4 of the chopped onion and the lemon quarters. Tie the legs together with kitchen twine. Place the remaining onion and garlic on the bottom of the slow cooker. 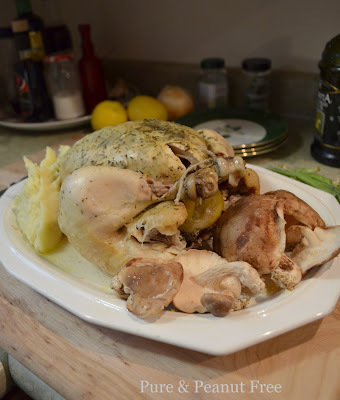 Place the chicken, the neck, and the bay leaf on top. Pour the wine and water around the chicken. If you're cooking potatoes, add them whole around the chicken, too. Cover and cook on low 6 - 7 hours, high 4 - 5 hours. Remove the chicken cooked to a platter. Strain the broth and onions through a fine mesh sieve. Discard the onions and refrigerate the broth. The fat will rise to the surface and solidify. Simply scoop off the hardened fat before using. Wipe the mushrooms clean with a damp cloth, and remove the woody tips of the stems. Heat the oil and butter together in a large sauté pan over med-high heat. Add the mushrooms. Do NOT stir until they begin to caramelize. Turn the mushrooms to cook on the other side. Add the garlic and cook, stirring, a minute longer, Don't allow the garlic to brown. Place the mushrooms in a serving dish a sprinkle with a pinch of salt. Garnish with parsley. Bring the water and rice to a boil in a heavy, lidded sauce pot. Turn the heat to low and cover tightly. Simmer for 15 minutes. Place the cooked rice in a large serving bowl and allow to cool. When the rice is cool place the minced shallots in 2 Tbsp. vinegar and set aside. Zest one of the oranges into the rice. Peel both oranges, cut them into segments, and add to rice (do this over the bowl so the juice falls into the rice). Squeeze the juice from the pulp in your hands into a measuring cup. If needed, add enough additional orange juice to equal 1/4 cup. In a small bowl whisk together the orange juice, olive oil, sugar, salt and pepper. Toss the diced avocado in this dressing, then pour over the rice and oranges. Add the chicken, sliced basil, and optional cranberries. Toss well and refrigerate for at least 1 hour. Serve cold. Cook the pasta according to package directions in salted water. Reserve 1/4 cup of the pasta cooking water before draining. Meanwhile, heat a large skillet over medium-high heat. Sauté the mushrooms in the oil until caramelized. Add the salt, pepper and garlic and cook a minute longer. Stir in the spinach, chicken, red pepper, and chicken stock. Cover and cook until the spinach is tender, about 5 minutes. Toss in the drained pasta. If it seems to dry, add a bit of the reserved pasta cooking water. Remove from heat and stir in the butter until melted. Serve and garnish each serving with finely grated Parmesan cheese and additional crushed red pepper. what can i say...it is the best recipe i found so far! thanks! I see V shaped bacon in your future! I cook mine in a foil lined sheet pan in the oven.